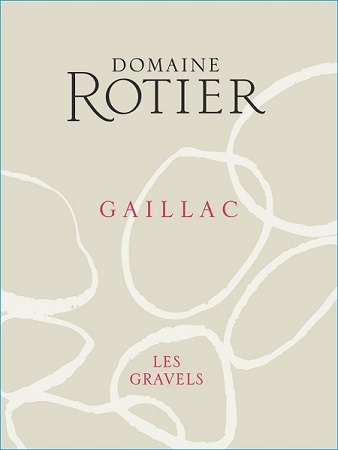 Domaine Rotier’s Alain Rotier makes some of the best and most consistent wines in Gaillac. The really eye-opening thing for any wine aficionado boning up on Gaillac is to learn that once upon a time, before Crossing the Rubicon became an idiom, the region was one of two grand crus for the Romans during their occupation of Gaul (the other cru was the vineyard area over in the northern Rhône around Tain, Ampuis, and Vienne). As Andrew Jefford has pointed out, Gaillac predates Burgundy for top-notch wine by 1,000 years and predates much of Bordeaux by 1,500 years. The reputation was such that in the Middle Ages the Benedictine monks of the Abbaye St Michel in Gaillac created a set of rules for wine production in order to better protect Gaillac’s image for fine wine. François I considerably reinforced the image when he gave his counterpart Henry VIII of England 50 barrels of Gaillac at their historic meeting in 1520. Then came the upsets: the growing power of Bordeaux and its taxing of wine coming down river from the hinterlands; the devastating Le Grand Hiver frost of 1708-09 that utterly froze so much of Europe; phylloxera in the 19th century; wars and economic depression in the early 20th. Today the vineyard surface of Gaillac is around one-twentieth of its former glory. As for Domaine Rotier, the short history begins in 1975 when Alain Rotier’s parents bought a domain in Gaillac. Slowly, they began to restore its largely abandoned vineyards, and so made a small contribution to the region’s resurrection. In 1985 Alain himself joined them, filled with a passion for winemaking that led the family to pull from the cooperative to make and bottle their own wine. At the same time, at Alain’s urging, the domain switched from the use of synthetic to organic fertilizers in the vines. In 1997 Alain’s brother-in-law Francis Marre came on board, enabling the elder Rotiers to retire. Francis took over the vines and Alain went full time in the cellar. 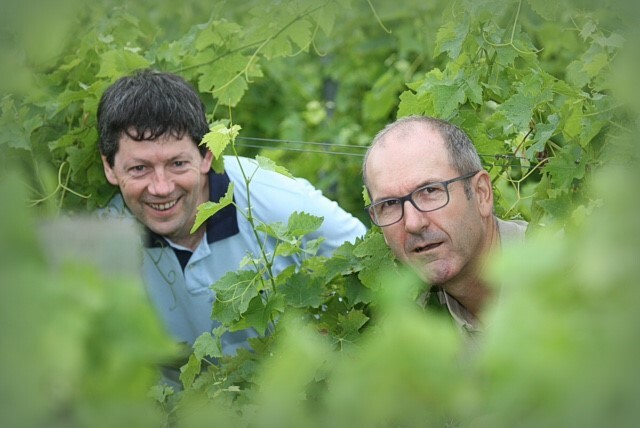 In 2001 Alain and Francis decided to move to high-density plantings in all new plantations, going to 6,170 vines per hectare rather than the conventional 4,000. Think about that for a moment: it was a very ambitious undertaking. And it succeeded; today, yields are naturally down in those parcels, and quality is clearly up. In 2005, having long been uneasy with much of conventional farming, they decided to go fully organic in the vines. In 2009 they went for certification, a three-year process that was completed in 2012. These days alternating rows are sown with oats, barley, and other deep-rooted plants over winter to enrich and aerate the soil. In 2013 they began reducing sulfur additions, culminating in the sans soufre Cuvée Esquisse. For the other wines, the partners are content with the minimal levels of SO2 additions that they have come to use in their winemaking evolution (levels which, they point out, fall below the minimally prescribed threshold for biodynamic wines). Today these two farm 35 hectares (86 acres) of vines. The majority are local varieties: Duras, Braucol, Prunelart for reds, and Loin de l’Oeil for white. Their vineyards grow on the left bank of the Tarn River on what is the second, or middle, bench of that river—and it’s a steep climb up 200 meters to reach the top of that bench where their vines grow. This zone is called Les Terrasses de la Rive Gauche, after the left bank’s series of alluvial terraces that essentially are gravel mounds, much like the terraces or benches on the Médoc Peninsula, but with less soil and a lot more gravel. The zone lies between the towns of Gaillac and Albi. There are two other zones in Gaillac, both on the right bank and both more about sedimentary limestone and bedrock than they are about alluvial soils. Rotier’s alluvial soils and its proximity to the Tarn River enable it to make exceptional dessert wine from fully botrytised grapes. Albi, by the way, is famous for its cathedral. Built in the 13th century, it rose upon the ashes of the 20-year military campaign known as the Albigensian Crusade. This was the crusade launched by the Church in alliance with the crown that ravaged Languedoc and destroyed its heretical Cathers. As a seat of power for the Cathers, (a.k.a., the Albigensians) Albi was chosen by the Catholic Church to be the site of the enormous and altogether militaristic Cathédrale Sainte-Cécile, which to this day claims to be the largest brick building in the world. Its construction made clear to the locals that the Catholic Church was here to stay. The domain makes approximately 13,000 cases each year. 80% Loin de L’Oeil, 20% Sauvignon Blanc Loin de L’Oeil, or Len de L’El in Occitan dialect, is a venerable Gaillac native. The name means far from the eye, and is a reference to how the grapes fruit far from the bud (eye)—the bunches hang from unusually long stalks. In dry wines, this grape is prized for the texture it gives to wine, while a bit of Sauvignon Blanc gives lifting acidity and aromatics (for historical interest, the folks in Gaillac assert that Sauvignon Blanc originated in the Southwest, and not in the Bordeaux region). Les Gravels takes its name from the alluvial bench on which the vines grow, an ancient and very high river terrace or bench packed with gravel. This wine is raised entirely in tank, and bottled with approximately half (40-50 mg/l) of the maximum level Demeter authorizes for biodynamic wines (90 mg/l). Normal production is around 1,400 cases. Les Gravels rouge Typically 20% Braucol, 40% Duras, 40% Syrah, sometimes with a bit of Prunelat Les Gravels rouge is the domain’s first red wine, made with local grapes and a dollop of Syrah. Braucol, a.k.a., Fer Servadou (Latin words meaning wild and keeps well, ie, resists disease) is thought to be a Basque native, prized for tannin and color. Duras is very old and DNA testing shows it to be a cross between Tressot, a Burgundy native, and Jura’s Savagnin (how it arrived to Gaillac is anyone’s guess). It’s prized for intense color, ripening ability, low tannin and high malic acid hence good freshness. Syrah was introduced to the Southwest in the 1950s and brings body, color and “fruit of the forest” to the wine. Prunelart, practically wiped out by phylloxera, has been shown to be the father of Malbec by DNA testing. Les Gravels rouge is raised primarily in concrete vats, with some of the wine spending three-four months in older barrels before returning to concrete. This is a quietly compelling wine, with lovely fruit, savory spice and notes of tobacco, excellent lift, and just great drinkability—you’ll never grow bored with this at the table. Bottled with around 50 mg/l of SO2 (max authorized by Demeter for reds is 70); approximately 4,000 cases annually. 5% Braucol, 85% Duras, 10% Syrah Pronounced ess-keys, this is the brothers-in-laws' sans soufre cuvée, made without any additions of SO2. If well made (like this one! ), wines without sulfur additions are said to be relaxed, without the restricted tension brought on by sulfur, and especially easy to drink. Raised in concrete vats and bottled in January following the harvest, this dark, plummy wine is best drunk young. 2,500 cases annually. 100% Loin de L’Oeil A specialty of Alain Rotier, Renaissance is made from grapes richly laden with noble rot. This dessert wine is made in acacia and oak barrels (10-15% new), undergoing both alcoholic and malolactic fermentation in them, and is raised in wood for nine to ten months. The wine rests in bottle for another six months before going to market. Renaissance competes exceedingly well against more expensive Sauternes. Bottled with around 100 mg/l of SO2; maximum authorized by Demeter is 200. 1,250 cases of 500ml made annually. Only three appellations in France have a Vendange Tardive category: Alsace, Juraçon, and Gaillac.